Your one stop spa for your car! home, and should be serviced in a location you trust and by people who care. We as the owners Shelley Gordon and Mike Kerkowich would like to welcome you to 6th Avenue Carwash and UniglassPlus Ziebart as an auto detail complex. Tour and welcome to 6th Avenue Car Wash & Uniglass Zeibart in Prince Albert, Sk. Clean cars! The 12 service bays for car washing are cleaned after every use, making sure you don’t step in someone else’s mud while cleaning, and are also lit with extra bright LED lights so that you can clearly see what you’re doing. With cleanliness and extra lighting, the safety and security of their clients is of utmost importance. 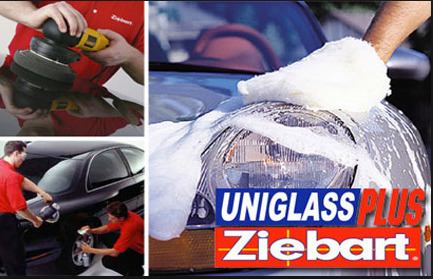 We purchased 6th Avenue Carwash in 2008 and decided to bring a UniglassPlus Ziebart franchise to Prince Albert because it complemented the car wash business. UniglassPlus Ziebart has been in Canada for over 50 years. .
We joined UniglassPlus Ziebart in 2015, opening the Prince Albert location adjacent to 6th Avenue Car Wash. We look forward to bringing our business reputation and customer service experience to the UniglassPlus Ziebart network of nationwide locations. The Auto Details On 6th complex, with its businesses 6th Avenue Car Wash and UniglassPlus Ziebart, offerthe city and surrounding communities excellence in Automotive Detailing, Windshield Replacement and Tint services. The Team at 6th Avenue Car wash is committed to service and to make the customer’s visit as easy as possible. With Clean Results! !